Firefighters were called to a flat fire in Nelson this evening (Saturday). Two fire engines from Nelson and Burnley wore breathing apparatus and used one hose reel to extinguish the fire at a first floor flat on Netherfield Road just after 6pm. 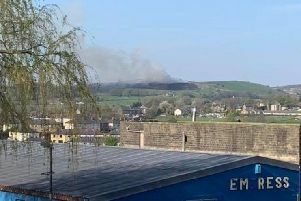 A spokesman for Lancashire Fire and Rescue said: "There were no injuries reported and the cause of the fire is under investigation."